1950s BAROVIER TOSO Blue & Red STRIATO Striped Glass Decanter - Super Rare! This incredibly rare masterpiece by BAROVIER, done in the early mid-century period, is a sublime example of the best artistry Murano glass has to offer. 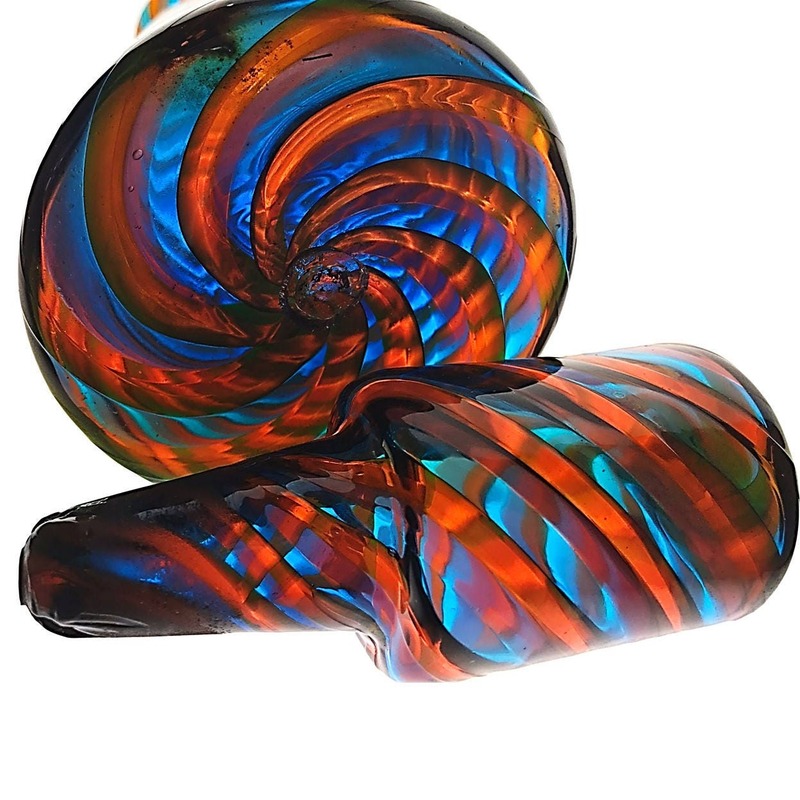 Wavering spiral canes of blue and red glass create an optical illusion of dancing colors and light. I've seen this method termed "striato" or "spirale" and it's so difficult to execute with such precision that there are precious few of these pieces in existance. The way the striato effect is continued throughout the body of the stopper (see photo #2) is seen only in marked or expertly identified Barovier pieces, so the attribution is near certain. 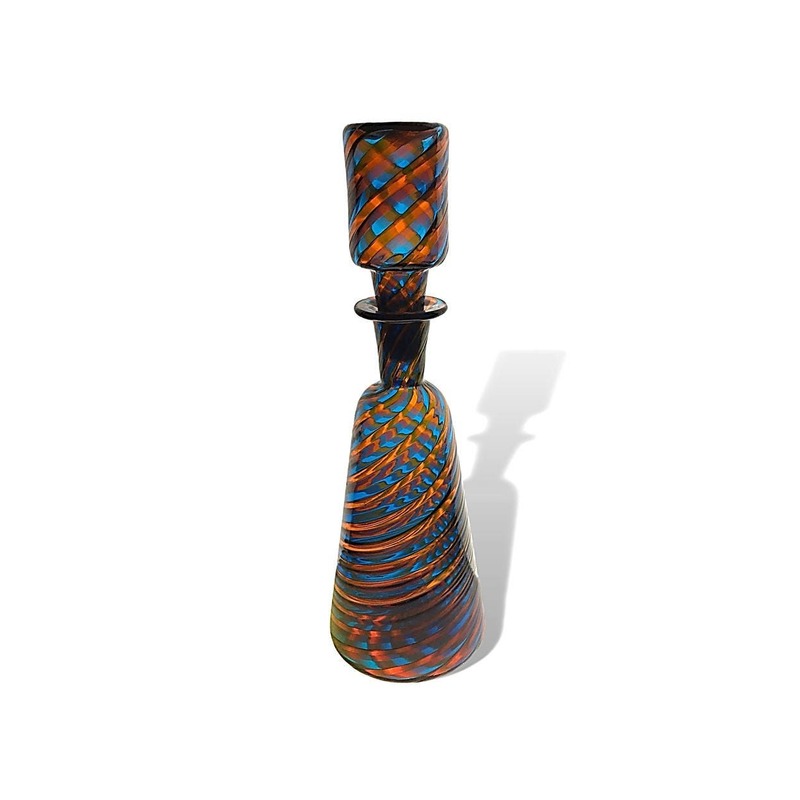 Our decanter stands 10.5" tall; as such, it is one of the largest examples I've ever seen. There appears to be a spot of wine residue in the base of the decanter. Otherwise, it's clean and in mint condition. This beauty ships FREE WORLDWIDE!